Thousands of people in a South Yorkshire town have been warned not to use tap water for drinking or cooking after high levels of bacteria were detected. Former Labour leader Ed Miliband said he is "very concerned" over the situation affecting 3,600 properties in parts of Thorne, near Doncaster, and the neighbouring village of Moorends, which is in his constituency. Yorkshire Water said on its website: "Customers in 3,600 properties in the village of Thorne, near Doncaster, have been told not to use their tap water for drinking or cooking. "High levels of bacteria have been detected in the local water supply, prompting us to issue the precautionary Do Not Drink advice which customers must follow until further notice." 100,000 litres of bottled water already delivered to #Thorne#DN8 - more on its way. Please only take what you need. The firm said it was distributing bottled water for residents to use at two locations in Thorne and Moorends. It said: "Alternative supplies are being proactively delivered to customers on our register of vulnerable customers." 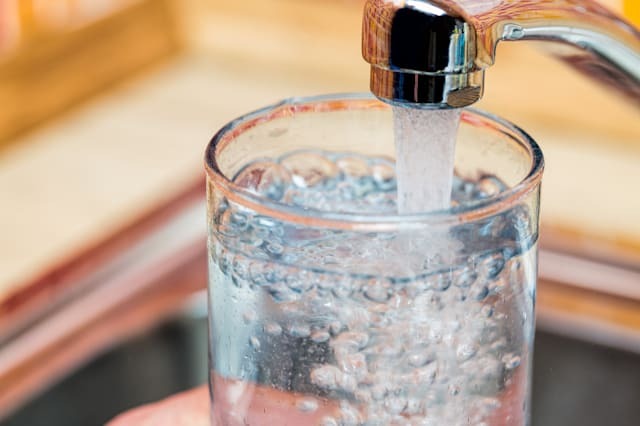 The company said that "following consultation with local health experts" customers should not drink their tap water, cook or prepare food with it, clean their teeth with it or let their pets drink it.